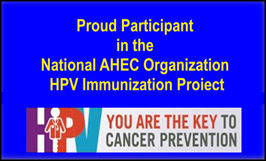 •	The first HPV vaccine dose is routinely recommended at 11-12 years old. The second dose of the vaccine should be administered 6 to 12 months after the first dose. •	Teens and young adults who start the series at ages 15 through 26 years will continue to need three doses of HPV vaccine to protect against cancer-causing HPV infections. •	Adolescents aged 9 through 14 years who have already received two doses of HPV vaccine less than 6 months apart, will require a third dose.